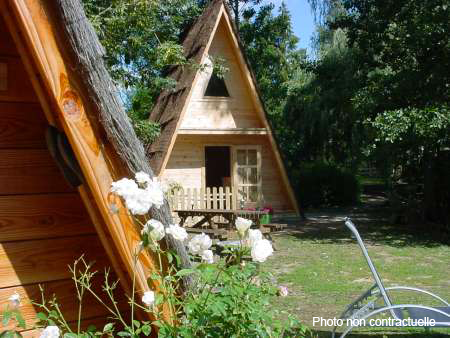 With the Teepee discover an unusual and family accommodation. Inspired nomadic group settlements, he is not less comfortable there. Completely made wooden this accommodation proposes at the ground floor a stay and a room in alcove. The main room is in mezzanine. free of charge Cancellation at the latest 1 month before dates her reservation. Beyond with a restraint of 30 %. Reservation from Saturday till Saturday or from Wednesday till Wednesday. Arrived from 14 hours – Allocates at the latest at 10 am For more details of packs, consult our price lists. we make a current situation on arrival and at first. We ask you to return the accommodation appropriate to the discount of keys. If need be we propose you an option Arrange in the Pack Comfort.